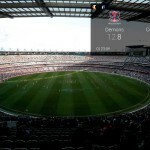 news The Australian Football League, its partner Telstra, and local developer Seventh Beam have teamed up to deliver an app running on Google’s next-generation Glass augmented reality headset that will allow AFL fans to get live information associated with AFL matches — all through their headset. According to a statement issued by Telstra this morning, “AFL Glassware” will give Glass-equipped Australian Rules fans access to live match commentary, scores and scheduling. It will be one of the first sporting applications worldwide, according to the telco, beating out the likes of England’s Premier League and America’s National Football League. The application, created in partnership with local developer Seventh Beam, will allow fans to tune into live game commentary via Glass’s built-in ear piece, or choose to have it translated to text via the optical head-mounted display. 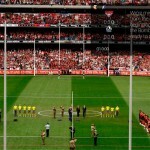 It will allow customers to view live scores and statistical information throughout AFL matches. 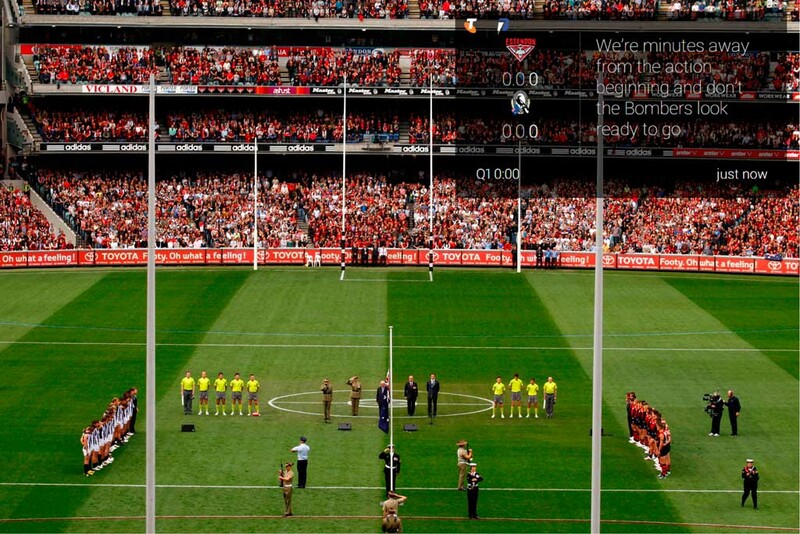 “We love being the digital partner of the AFL. 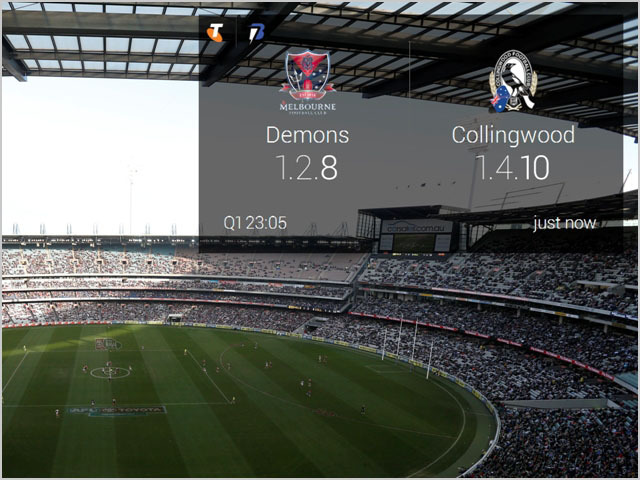 To date more than 1.7 million fans have downloaded the AFL Live App, which features live match streaming on smartphones and tablets and we believe that this development will continue to allow us to help fans connect with the game in the way that suits them best,” Good said. 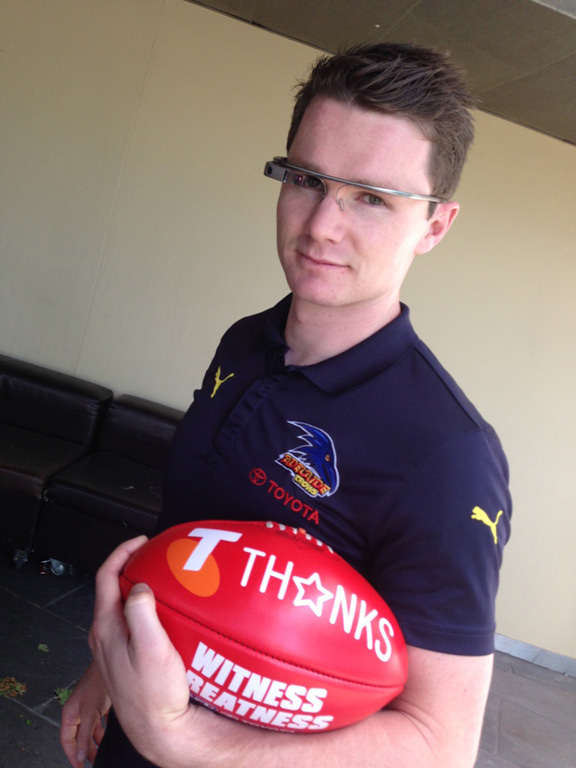 In one of the images below, Adelaide Crows AFL player Patrick Dangerfield demonstrates Google Glass and the Telstra app in action. Also attached below are screenshots of the app in use. 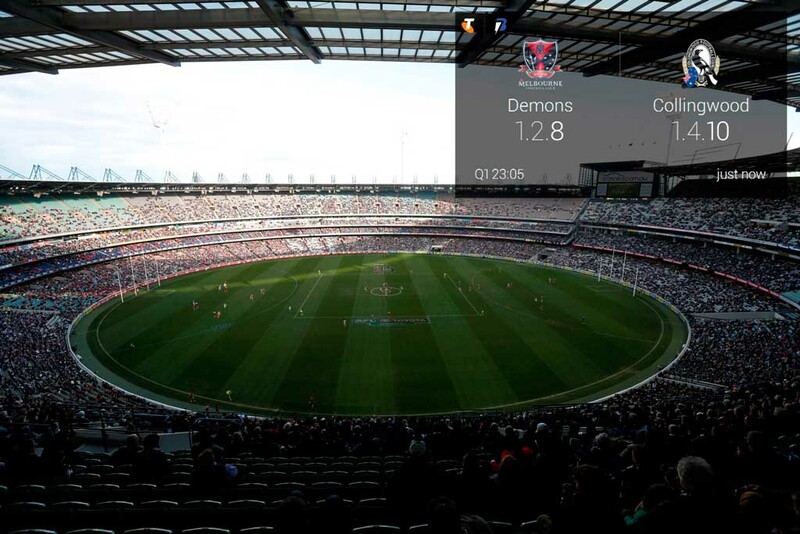 However, questions remain as to how widely used the app will be in next year’s AFL season, given that Google’s Glass platform is not yet publicly available. The search giant has released Glass to some developers, but it’s not slated to be available to consumers until at least 2014. It is believed the consumer edition will cost up to $500. I can’t help but feel that this is little more than a public relations exercise by Telstra at this point. 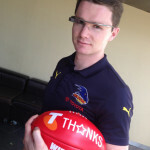 With no Google Glass consumer availability in sight at this point, despite the technology having been demonstrated for more than a year already, we can’t see many people actually getting access to the AFL app for real-world use. I’d much rather they finally got round to integrating with Google Now instead. Millions more people have access to that. Isn’t Glass due in early 2014? it’s not that far off if so.